May is Mental Health awareness month, so to kick off our health awareness blog we are going to start with the topic of mental health, something that everyone can relate to. From young age to old age, everyone needs to keep an eye on their mental health. Mental health is commonly defined as “the ability to cope with daily life and the challenges that come with it” (Mental Health America). To ensure we are all mentally healthy, let’s start by taking note of how we cope with everyday situations life throws at us. If you find you are struggling with the stress of everyday life you need to start implementing healthy strategies to help you cope with those stressors. By keeping our bodies healthy we subsequently keep our minds healthy. Another way we can be at the peak of our mental health is by establishing a social network as a means of support. Go out with a friend instead of sitting at home watching TV. As for many other species in the world, socialization is a vital aspect of our mental health. Endorphins, released when we smile, laugh, and exercise, are the chemicals that make us happy. Let’s take advantage of that natural ability our bodies have to help our minds stay healthy. If you happen to be dealing with the repercussions from stress, please do not wait. 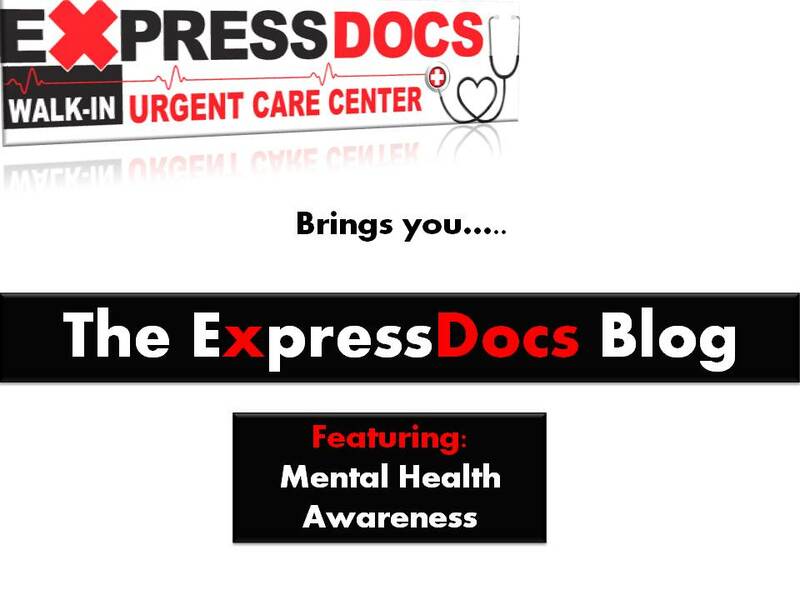 Walk-In to ExpressDocs Urgent Care Center whenever you have the time (no appointment needed) and see a physician. 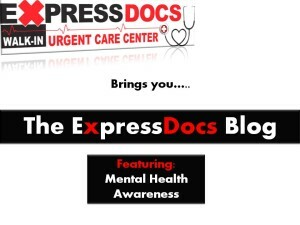 ExpressDocs can help with your blood pressure problems, headaches, depression, anxiety or any other issues you may be suffering from. What are some ways you have found helpful in combating stressful situations? Feel free to leave your comments below.